We love music! Children enjoy hearing music throughout the day, singing songs in their classroom, and relax to soothing tunes during nap time. Our music has a positive and meaningful message with a delightful child friendly tune. 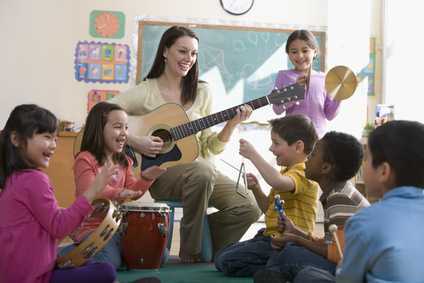 Our music program is taught by a music specialists who prepare and lead weekly classes. Children enjoy fun and age appropriate songs, rhythmic chants, movement activities, and opportunities to shake, shimmy, and tap actual instruments.